A trip to Prague with the one you love should not just be about history. There’s much more to this city than museums, great food, beer, hussites, jewish quarters, torture chamber and black light theater. Coming to Prague with your ‘special someone’ remember, that this is the most romantic capital in Europe. Even surrounded by tourists 24/7 you can still find a quiet spot to say ‘I love you’ one more time, renew your vows or even propose. 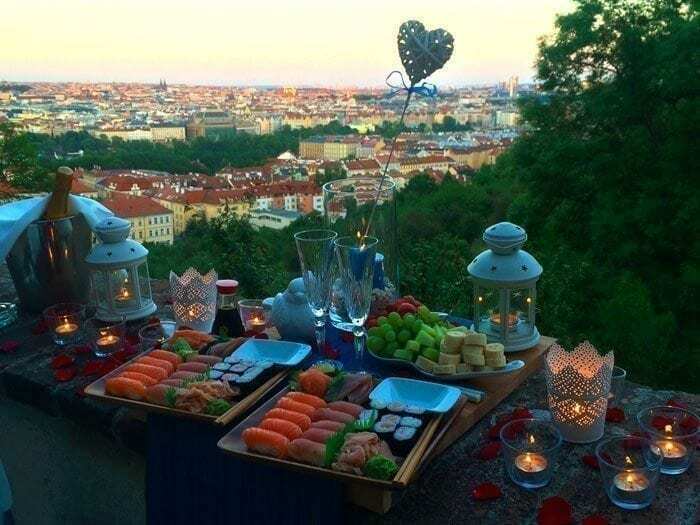 A romantic evening in Prague is perfect for such an occasion. Imagine yourself casually leading your lover through a beautiful park. Suddenly you stumble upon a romantic setting. 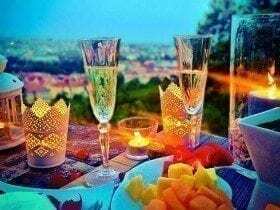 Surrounded by candles, you sit down, open up a bottle of champagne, nibble on some cheese or fresh fruit, or even have a chocolate fondue to go along with them. Your table can be decorated according to your taste. 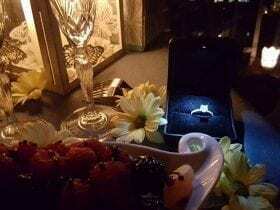 You can have rose petals all around it, or even a bouquet of her favorite flowers delivered to the event. You can have your favorite music playing from a portable set of speakers, or even have live musicians playing for you. And Prague will provide the perfect backdrop. 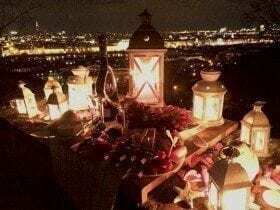 Your romantic evening in Prague can be arranged in a matter of a couple of days, and you don’t even have to do anything. You can use one of my ready-made scenarios, or communicate your own ideas, and I will make them happen. After that, all you have to do is arrive to the agreed location on time to surprise your lover. It’s that easy! 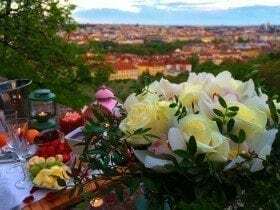 A romantic evening in Prague is an unforgettable experience cherished for years to come, and I’m proud to say, that ‘Prague for Two‘ has truly become an expert in planning these events.